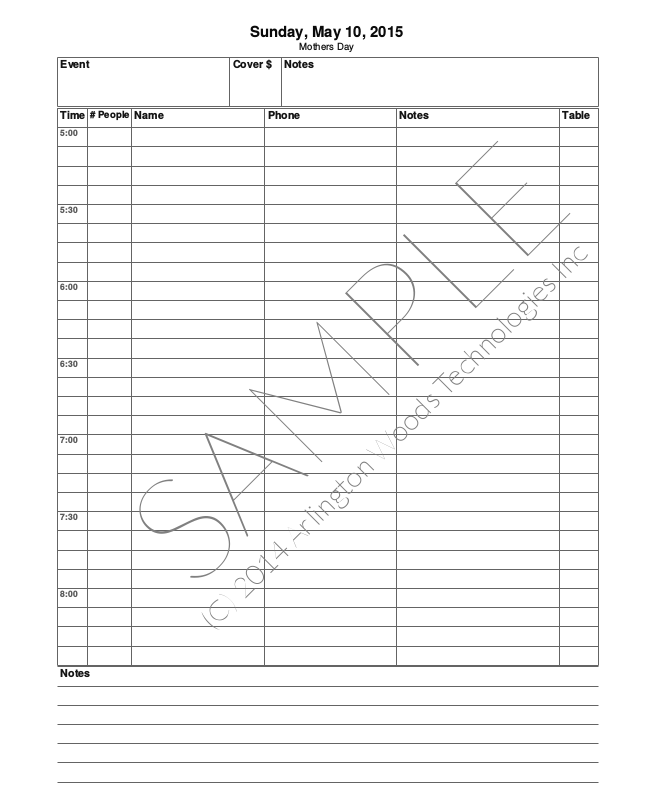 Reservation Books and Stage Event Planning Books for bars & restaurants are offered through the publishing division of Arlington Woods Technologies Inc. Our most popular format provides a full (Letter-size) page for each day and is illustrated below. Click on the sample pages below for a more detailed image. Please contact us for other formats. Our Reservation Book set and our specialty Stage Event Planning Book set each cover a year at a time in three spiral-bound booklets (covering four months each: January through April, May through August, September through December). 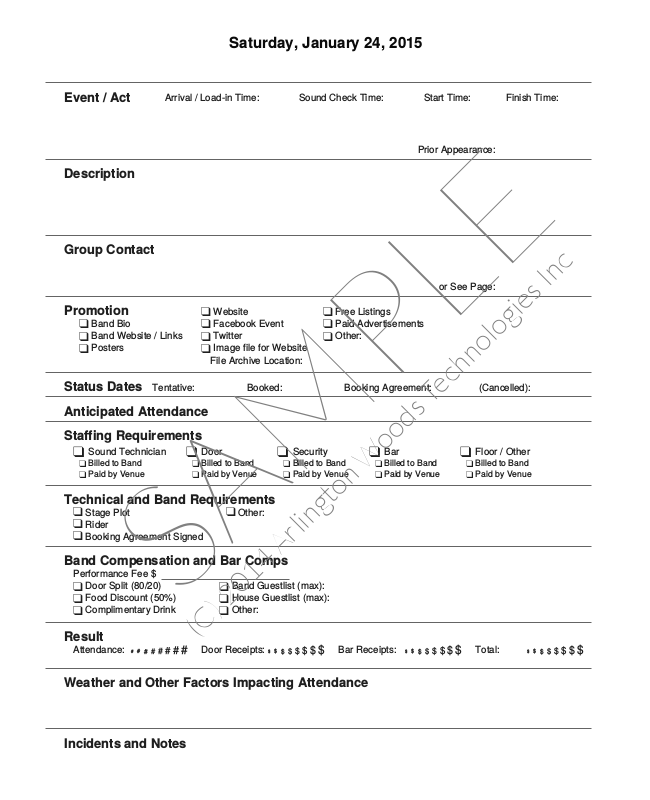 The Reservation Books include one page for each day, while the Stage Event Planning Books include dated pages for Fridays and Saturdays and an additional two undated pages for each week. Please contact us if you have special requirements, including orders of multiple sets, or for international orders outside of Canada and the United States. We would be delighted to create a solution for you! Watch for our Online Reservation System, coming soon!